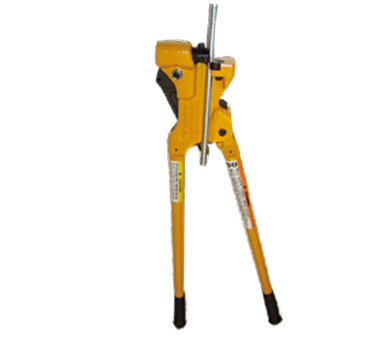 Designed to cut mild steel threaded rod. Unique die design protects threaded rod from damage while cutting. No cleaning and deburring work necessary after cut. Just screw the nut on cut end. 2X Lifetime by Double sided Die Design. Easy to replace dies. 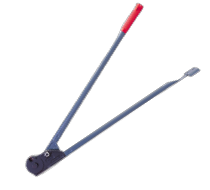 Threaded rod cutter with ratchet motion, excellent for in-place rod cutting. Spring loaded pin protects user from injury by securing cut piece to tool.